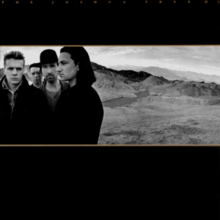 U2: THE JOSHUA TREE: 1987: 5 STARS OUT OF 5 STARS: I saw U2 on the original Joshua Tree Tour back in 1987 and twice last year on the 30th anniversary tour. My favorite U2 album. I can’t think of an album that has a better start- the first three songs- Where The Streets Have No Name, I Still Haven’t Found What I’m Looking For and With Or Without You- all big hits. THE CHI-LIGHTS: GREATEST HITS: 1983: 4 STARS OUT OF 5 STARS: Have You Seen Her?, Oh Girl, Give More Power To The People,The Coldest Day Of My Life , A Letter To Myself- the highlights from this Chicago soul/R&B group. Ten songs here- I’d give it 5 stars except now in the CD era there are better options with more songs. 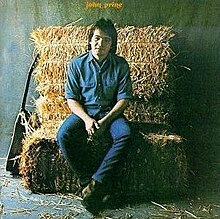 JOHN PRINE: JOHN PRINE: 1971: 5 STARS OUT OF 5 STARS: Prine has made some fine albums in the past 47 years but nothing comes close to his brilliant debut. Paradise is one of my 100 favorite songs ever. Hello In There and Sam Stone are classics- and the rest of the album isn’t far behind. I have seen Prine five times over the years in concert. My sister-in-law saw him recently. Prine is her favorite artist- as she put it to me “John Prine is my Beatles.” I can understand that. Great songwriter. I have all his albums so he is high on my list of favorite artists also. BUDDY HOLLY: THE COMPLETE BUDDY HOLLY: CLOVIS, NEW MEXICO: BUDDY HOLLY AND THE CRICKETS: 1979: 5 STARS OUT OF 5 STARS: Record 3 is where the greatness begins- That’ll Be The Day/ I’m Looking For Someone To Love/ Maybe Baby/ Peggy Sue/ Everyday/ Listen To Me/ I’m Gonna Love You Too/ Not Fade Away/ Oh Boy!/ Tell Me How/ Rave On. All classics. 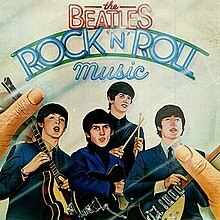 THE BEATLES: ROCK ‘N’ ROLL: 1976: 4 STARS OUT OF 5 STARS: My first ever Beatles album. My friend Andy one day was going on about The Beatles- up until this time I wasn’t a much of a music listener- and the way he spoke of them got my attention. Next trip to the Big Wheel- I looked in the record department and this was the record they had- it had been released earlier in the year.A double album with 28 songs in total. The album cover is awful, the sound isn’t good at times-George Martin would describe the entire project as ‘troubled” but to me it sounded great at the time- and my next two trips to the record store I bought the Red 1962-66 and then the Blue 1967-70 and I was off to the races. 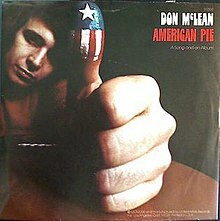 DON MCLEAN: AMERICAN PIE: 1971: 5 STARS OUT OF 5 STARS: American Pie the single was one of the biggest hits of the 70’s a #1 hit for 4 weeks in 1972. Vincent an equally great song was also a hit- #12. The album #1. This was the peak of McLean’s commercial success- he has never had another top 20 album. The rest of the album is pretty strong- other favorites- Crossroads,Til Tomorrow and Winterwood. 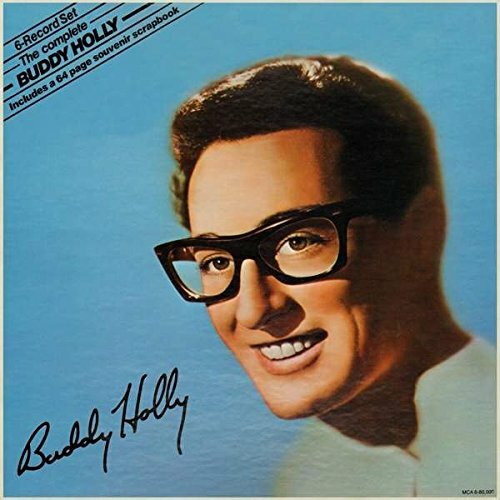 The album was dedicated to Buddy Holly. American Pie at 8:37 is still the longest song to ever reach #1. OTIS REDDING: LIVE IN EUROPE: 1967: 4 STARS OUT OF 5 STARS: The only live album Otis released during his lifetime- backed by Booker T. and The MG’s-recorded in Paris. I am not a fan of live albums but this is a good one. It had to have been great to have seen Otis live. What a great loss. 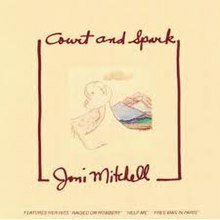 JONI MITCHELL: COURT AND SPARK: 1974: 5 STARS OUT OF 5 STARS: Joni Mitchell’s most commercial album- going to #2 and the single Help Me would be her only top 10 hit- #7. My favorite albums of her’s are Blue and this one- I like the early to mid 70’s stuff which was her most ‘pop’ music period. Favorite here- Help Me, Free Man In Paris, Raised On Robbery, Court and Spark and Down To You. Love the Chi-Lites… Oh Girl, Have You Seen Her? and the rest…just a great overall sound. 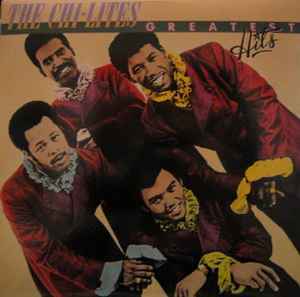 The Coldest Days of My Life missed the Top 40 but I think its my favorite Chi-Lites song. Yes me too. I have a lot of soul- motown type stuff from the 60’s and 70’s. I have all the Stax box sets they released years ago. Great stuff. The Joshua Tree is my favorite U2- but Achtung Baby might be better… The bad thing about seeing U2 now it- big stadiums. After seeing U2 last summer twice in big stadiums I walked away telling myself no stadium concerts any more for me… The only U2 album I am not a fan of is Pop..